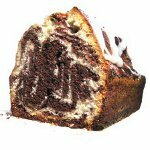 The cake lovers will love National Pound Cake Day that falls on March 4. You can celebrate this day with a piece or two of your favorite delight. Pound cake is very simple to make. You need to combine just four ingredients (flour, eggs, sugar and butter) to make the batter. If you forget proportions, then look at the name of cake! Take a pound of each ingredient and bake your cake. However, you can take any quantity of ingredients for a cake, but if you follow a ratio 1:1:1:1, your cake will be great. Pound cakes are usually baked in Bundt pans or loaf tins, but actually they can come in any variety of shapes and sizes. Traditional icing is very simple and it calls for dusting of powdered sugar or a classic glaze. Buy you can always try layering your pound cake with some canned or fresh fruit. Once you've got the proportion thing down, decoration is all up to your taste. If you want to change your pound cake and make its taste richer, add some vanilla or almond extract to batter. Dried fruit also work well. And if you want to bake a more moist cake, then try to substitute some butter with sour cream. Your pound cake will have pleasantly tangy flavor and moist texture.